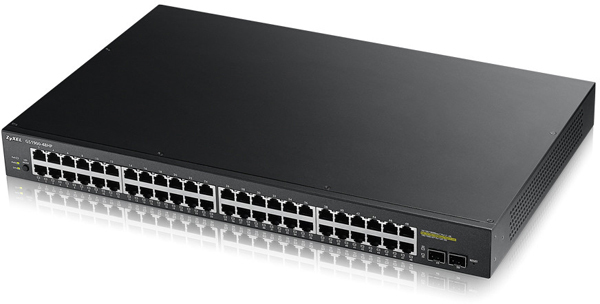 The complete Zyxel GS1900 Series has an essential portfolio of 8/10/16/24/48-port compact desktop and rackmount size with GbE connectivity. All models support multiple deployment methods to fulfill the needs for small offices and meeting room environments such as wall-, under table- or desktop-mounting and rackmount options*1. It’s now quick and effortless to enjoy the high-speed business network applications without a hitch. 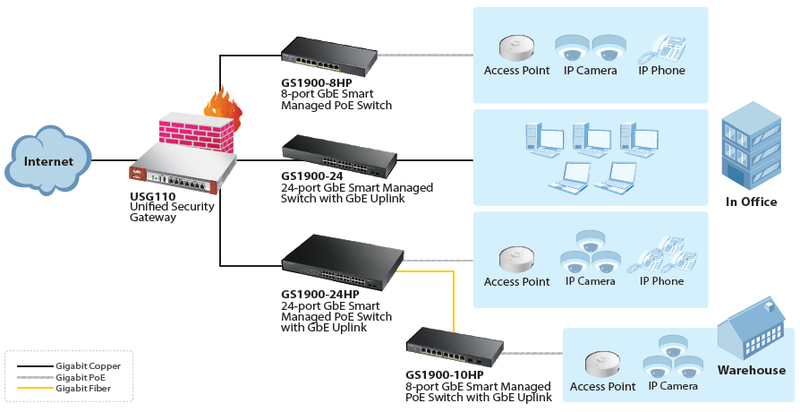 Additionally, the GS1900-10HP/24/24HP/48/48HP is equipped with 2 extra SFP slots to provide 100M and GbE speeds for long-distance deployments. Aiming for relieving our customers from repetitive operations of deploying andmanaging a network, Zyxel ONE Network is designed to simplify the configuration, management, and troubleshooting, allowing our customers to focus on the business priorities. Zyxel ONE Network presents an easy-to-use tool, Zyxel ONE Network Utility (ZON Utility), to realize speed network setup. Zyxel Smart Connect** allows Zyxel networking equipment to be aware and recognize each other and further facilitating the network maintenance via one-click remote functions such as factory reset or power cycling. 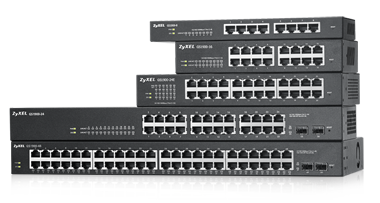 Zyxel ONE Network redefines the network integration across multiple networking products from switch to Wi-Fi AP and to Gateway. For small businesses that want to manage their infrastructure in advance, the Zyxel GS1900 Series comes with a friendly built-in Web-based browser for simple configuration and management. Moreover, the friendly step-by-step intuitive wizard helps avoiding multiple complicated configuration pages for quick set up with few clicks in the matter of minutes. To guide the users from start-up, VLAN, Guest VLAN to QoS setting, the Zyxel Series offers four most common steps and combines them into a quick and easy setup wizard; which does not just save deployment time and efforts, but is also helpful especially for the non-IT staff. Download the Zyxel GS1900 Series Datasheet (PDF).